Hanover, MD – March 13, 2017 – D-Wave Systems Inc., the leader in quantum computing systems and software, and Virginia Tech, Virginia’s most comprehensive university and its leading research institution, have established a joint effort to provide greater access to quantum computers for researchers from the Intelligence Community and Department of Defense. 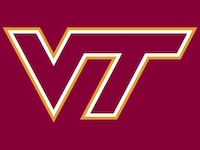 The Hume Center was founded in 2010 through an endowment from Ted and Karyn Hume and is located both in Blacksburg and in the National Capital Region. With support from Virginia Tech’s College of Engineering and Institute for Critical Technologies and Applied Sciences (ICTAS), the Hume Center leads the university’s education and research ecosystem for national security technologies, with an emphasis on the communication and computation challenges of the defense and intelligence communities. Approximately 150 undergraduate students and 50 graduate students participate in Hume Center programs each year and most receive scholarships, fellowships, or research assistantships and are vectored toward careers working for the federal government or its industrial base.